Mowbray: Armstrong not Newcastle’s answer, yet. 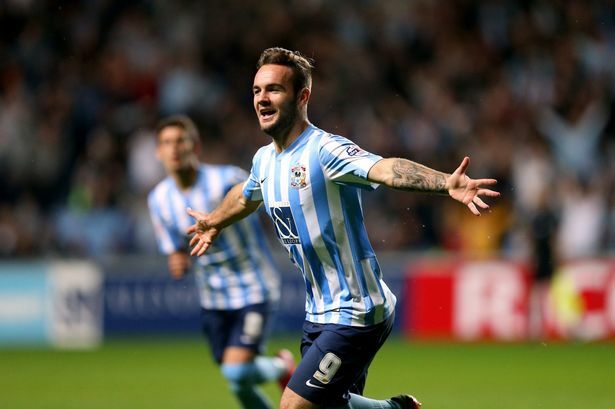 Coventry City manager Tony Mowbray has warned Newcastle United counterpart Steve McClaren that loan striker Adam Armstrong isn’t the answer to their goalscoring problems. Newcastle currently sit 19th in The Premier League having only found the net three times in six matches. Armstrong on the other hand has six goals in seven games for The Sky Blues. Armstrong has a 24-hour recall clause in his loan contract, and The Newcastle Chronicle has run a poll asking whether the North East side should utilise the option. Former Newcastle & Coventry striker Mick Quinn believes it would be “ludicrous” if McClaren was to recall Armstrong. Armstrong was named the Sky Bet League One ‘Player of the Month’ for August after his stunning start in a Coventry shirt, and he also found the net in the home win against Chesterfield at the weekend. “I can’t sit here worrying about it. “You do these deals with all the best intentions and you have to put it into context that it’s not the Premier League he’s scoring goals in. “Having managed in the Premier League and the Championship, here I am in League One which is a million miles away from the Premier League. The speed and the size and the physicality of the players that he’d play against there is completely different. “Steve McClaren was England manager and is a very, very experienced football man who knows what’s right and wrong. “I don’t know how much they spent on strikers,” said Mowbray; “maybe £25million – getting on for £10m on one and £15m on another. “I suppose Steve has to look at it and be conscious that you have got to give a £15million striker time to settle in. I know he got himself sent off but, like with some of our young players, you give them time to see who their friends are, who they can trust, how they fit into the group really. They need time to settle in and it can be harder if they’ve come from another country. “If you are going to stick those players on the bench and play an 18-year-old kid then you’re going to demoralise them because at that money they come with an ego and think they’re going to score goals in the Premier League. It’s their dream then, all of a sudden, an 18-year-old boy sits them on the bench. “You have to be careful how you manage the personality of those players. You have got to give them a chance, put your arm around them and get the fans on board and excited about them. “No-one scores every game so you have to give them a bit of leeway – that’s how I would see it. « FIFA 16 Coventry City players & ratings revealed.